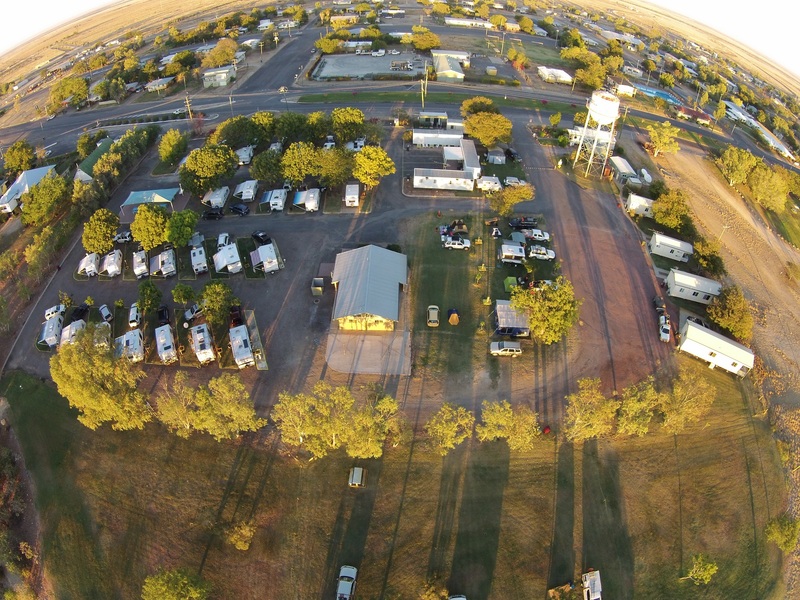 The Richmond Lakeview Caravan Park is the clean, friendly outback park with the "million dollar view". Richmond Lakeview Caravan Park overlooks Lake Fred Tritton and caters for tourists travelling the Overlanders Way. The Caravan Park caters for the touring public with clean amenities including disabled facilities and baby bathroom, free barbeque area and 27 drive through sites as well as 13 grassed camping areas. There are eight twin-share budget rooms (bunkhouses) with a communal shower and toilet and separate kitchen. There are 3 self contained ensuite cabins. There are two Villas which will sleep a family of four and the other cabin will sleep five, with a sofa bed which can sleep an additional two. There is also one disabled self contained ensuite cabin. Reception is open 8am to 6.30pm Apr - Oct | 8am to 6pm Nov - Mar. Checkout times vary depending on which accommodation type you are using. Check out time for the Caravan Park and Cabins is 9.30am. Check out time for the bunkhouse is 9am. Check in time for cabins and budget rooms is 2.00pm. Check in time for powered and unpowered sites is from 11.00am. Pets are allowed. Conditions do apply. Please see Reception.